Why Do SEOs Focus on Long Tail Keywords? Why Do SEOs Focus on Long-Tail Keywords? The most common keyword practice utilized by SEO experts is to target long-tail search queries that are substantially less competitive, offer quicker ROI, and need fewer link tactics to achieve success. 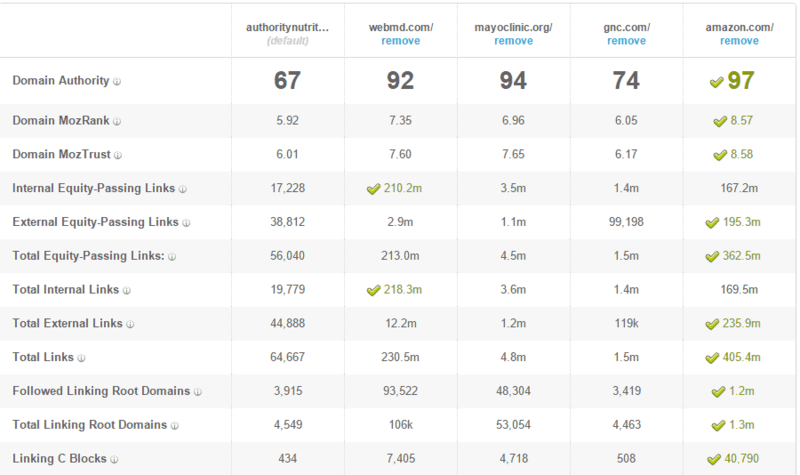 More importantly, selecting long-tail keywords will present a greater opportunity to gain more visitors to your site. When choosing to optimize for long tail keywords, the root keyword typically remains within the long-tail – so, on the off chance that your SEO does rank for a shorter one or two word phrases, your long tail optimization efforts bring in an extra percentage of traffic and conversions. Plan A). You focus on some exceptionally aggressive and broad keywords that require thousands of backlinks to your site, fantastic content, and several more pages of deeper content that supports keyword density for the domain. For example, to rank for a national keyword like “weight loss pills”, your domain authority (DA) score would have to produce a score of 60+ to achieve page one rankings; which will need thousands of unique linking root domains. The start of an SEO journey for this keyword goal would not see success until you could earn 5,000+ backlinks (similar to GNC or Authority Nutrition). Furthermore, SEO does not happen in a vacuum, so while you are trying to grow your websites DA score, you can bet your competition is earning more backlinks as well. When your SEO competition is national brands sites that rank well and spend more in advertising in a month than most SMB’s do in an entire year you have to work ten times harder to get to their SEO level. Plan B) On the other hand you can focus on long tail queries that are more focused on your product or service. Think, what makes your company different from the other guys? As a broad generalization, most businesses are created to fill a void or solve a specialized problem in the marketplace. As companies build on their early successes they then have a more mainstream presence to expand their company into broader areas. SEO campaigns work the same way! For instance, let’s say your new diet pill is more accurately for women with diabetes. The long tail Keyword goals behind your SEO plan need to focus on 5+ word derivatives about this main product feature. 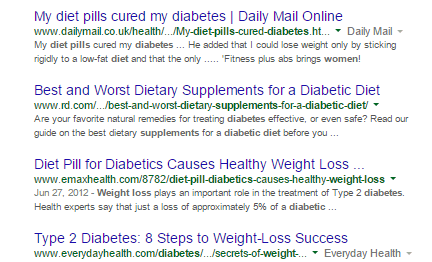 When we Google a keyword like, “weight loss pills for diabetic women” we can see a break between the 5th and 6th organic ranking. Why? In reality there are thousands of sites competing for broader keywords, but only about five websites with quality content answering this search query. In fact, the 6th ranking is a UK domain and the rest are getting pulled based on closest match and DA score but none mention women specifically. By targeting long-tails like this with your SEO campaign you can start to find SEO traffic and ROI success few months, while still building for long-term future of broader keywords. In fact, you will be surprised at all hundreds of different ways people are searching and finding you site and start to worry less about that one keyword you don’t rank #1 for. Long tail keywords success does not happen overnight! While this is the “low hanging fruit” you should target first, best practices take time to grow and nurture. Your website’s SEO campaign should keep your site free of technical issues & penalties, keep producing great content, and earning more backlinks. After all, SEO doesn’t happen in a vacuum and someone might be looking to outrank you next!